Today I'm excited for everyone to meet my friend Genny, author the daily style blog Genny's Journal. She's a mom of two of the cutest little girls I've seen on a blog, and posts daily outfit posts from her home in New Hampshire. I was lucky to meet Genny in person at the Texas Style Council conference back in March, and can attest that she's as sweet in person as she is online. 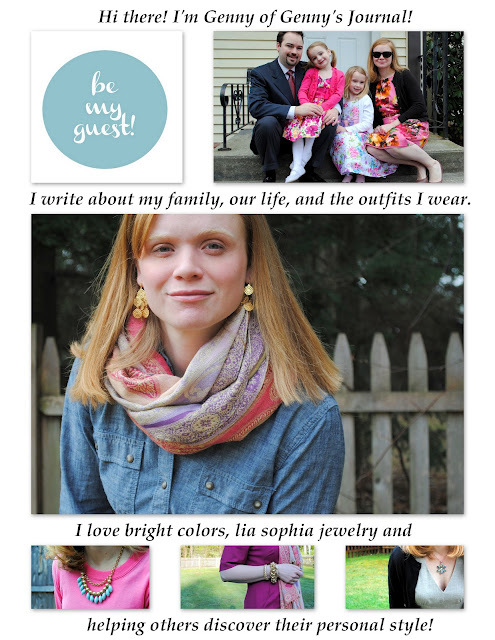 Check out her favorite blog post here! I'm living this series. Thanks Haley!